How much information are you comfortable revealing to a complete stranger? How long can you stare back at someone in a candlelit booth? What tells are you giving with your body language? 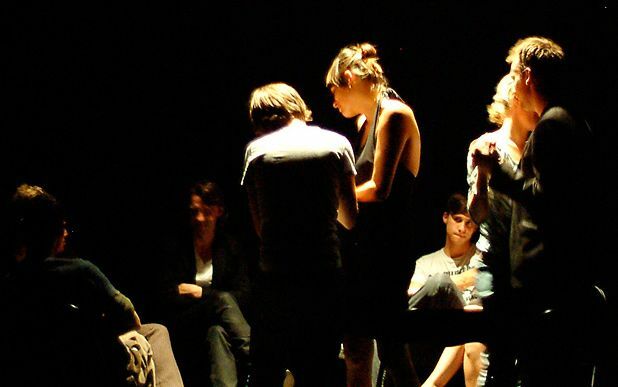 Belgian theatre company Ontroerend Goed want to dig these answers out of their audience, who enter a darkened room, five at a time, for an interactive performance with five actors. Based around the speed dating and group therapy templates – of fast-forwarded intimacy and forced confessionals – the four other unknown guinea pigs who joined me said they found it ‘revealing’, ‘terrifying’ and ‘original’ as they staggered outside, a bit shaken, 25 minutes later. Over a dram of whisky, with mandolins playing in the background, my actor partner, Oliver Roels performed a sort of verbal lapdance on me, the theatrical equivalent of making me believe I was the girl of his dreams. One cubicle down, a sweet fifty-something man was being made to feel like a pervert by an intense, neurotic and beautiful Amazonian type. Challenging the actor-audience boundaries, it is a disarming, simple and powerful exercise in human interaction. Mercure Point Hotel, 228 1404, until 30 Aug (not 24), times vary, £14–£16 (£10–£11). Five spectators versus five performers... looking for a partner. 'Internal' explores how intimate you can get within 25 minutes one-on-one. Drinks and mandolins accompany a game of give and take; speed-dating meets group therapy.